What Are Some Good Adoption Fundraiser Ideas? When it comes to raising money for an adoption, the key is to be creative and have fun! After all, this is part of our adoption story. Remember to use your talents, skills, and the resources that others may have to offer and come up with something that works for you. Most of all, brainstorm, brainstorm, brainstorm! Here are some ideas to get you started. When we were researching ideas for adoption fundraisers, back in the very early 2000s, we found an adoption teddy bear to sell to family, friends, friends of friends, and church members. It was a plush teddy bear made by a company that used a picture of the child you were trying to adopt along with the slogan “I Support Adoption” on the little bear’s tee shirt. That worked great for us, and keep in mind those were the days before the rise of social media. We sold them mainly by networking and had fun doing it. We even saved one for our daughter which she can treasure forever now! If you play an instrument, sing, act, do comedy, or have any entertaining skill, either have a concert or put on a play, serve some light refreshments, and charge a small free or, better yet, ask for donations at the door. Have an online rummage sale or a garage sale. Involve family and friends to see if they have anything they’d like to contribute. Put on a backyard carnival complete with face painting, games, a bake sale. Get crazy with it! Have a car wash day. Take open donations for any car washed. Host a themed walk or run (make sure kids can participate or have their own) for donations. Keep in mind that you are not limited to doing just one thing. 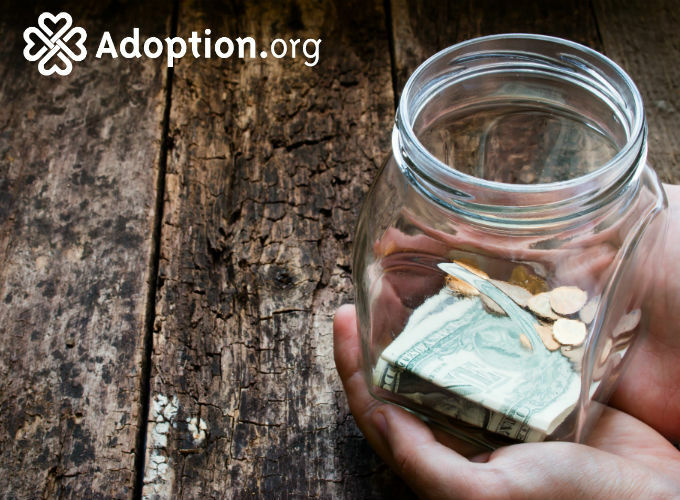 You can do many things throughout your adoption as expenses come up. If possible, don’t forget to make handwritten notes to all who help you out with your fundraiser. Take plenty of pictures so you can include them in your child’s adoption storybook. You can even ask everyone attending your event to sign a few pages to include in the book. Good luck! Nancy Hall is married to the love of her life and has a wonderful teenage daughter. She earned a B.A. in English and an M.A.T. in Humane Education. She had the privilege of studying at Oxford University in England for a while and eventually moved overseas for nearly 4 years. She enjoys traveling, writing, yoga and Pilates, rock music and festivals, and all things animal-related — she has several rescued pets. She currently works as an academic advisor at a state college.